THE HIACE CHRONICLES: "NORTHERNER" IN SPANISH? 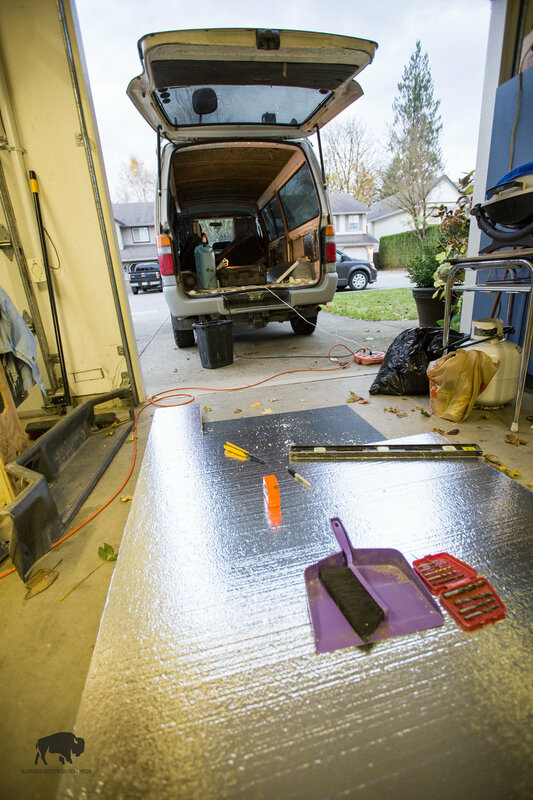 I've swapped out my large and well equipped shop for a driveway and warm weather since I last wrote. Alison and I traveled from Vermilion, Alberta to Abbotsford, British Columbia in the first week of November. 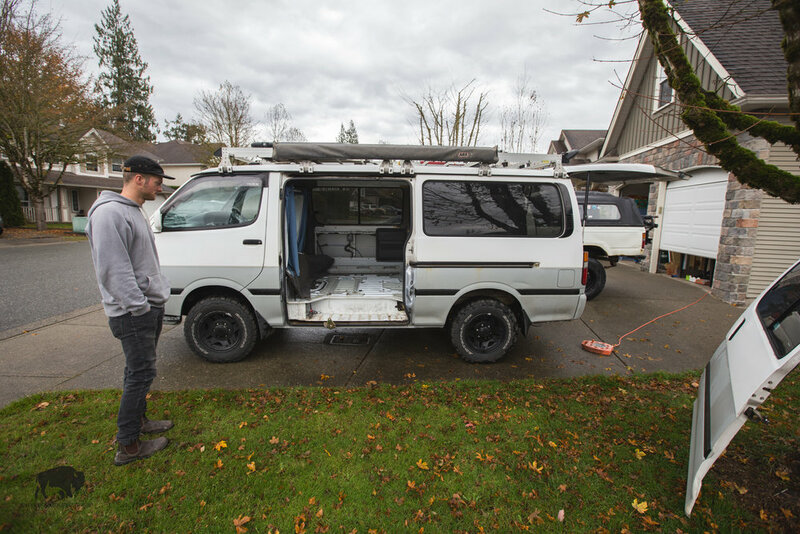 After a week of getting settled at my parents place I dove into van renovations and haven't really looked back since. 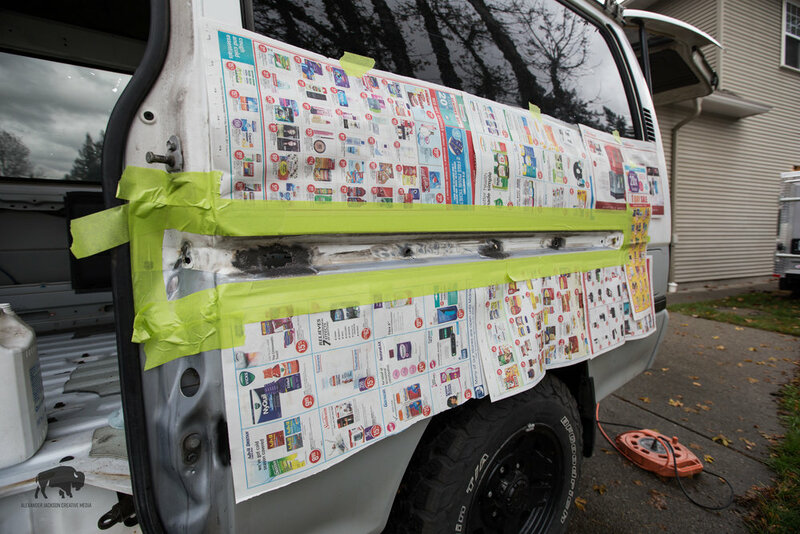 First step was, of course, to strip the vans interior to metal. 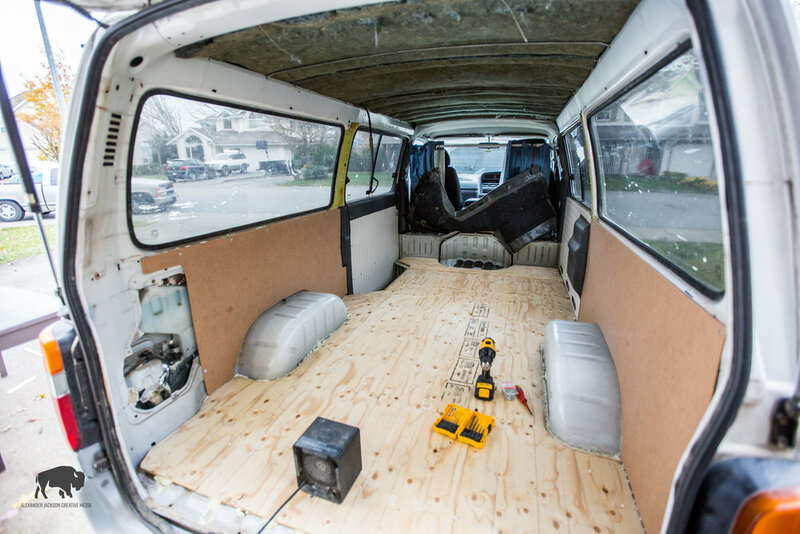 I wanted to start with a clean slate which meant everything had to come out of the van, that included the existing bed and vinyl plank floor. Thankfully there was very little rust and the flooring came out easily. 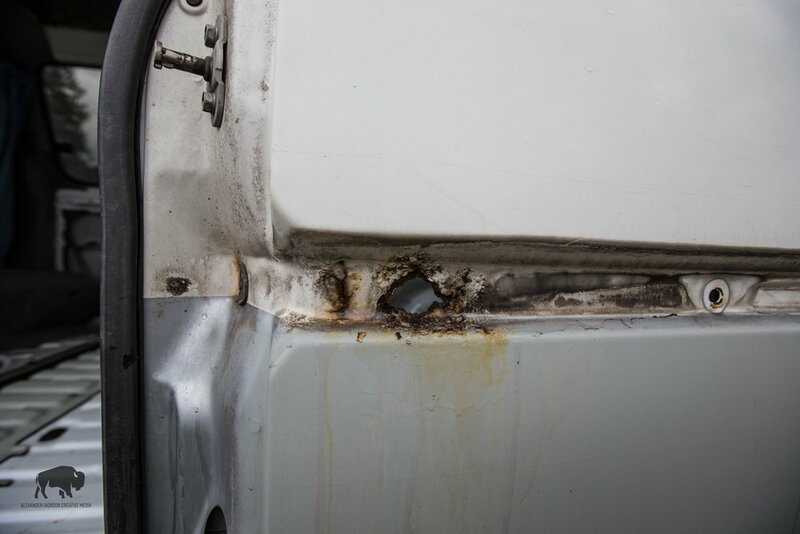 Flooring aside, I did find a significant build up of rust in the wall around where the door slide rail is secured and was forced to pull off the door and address the rust problem immediately. 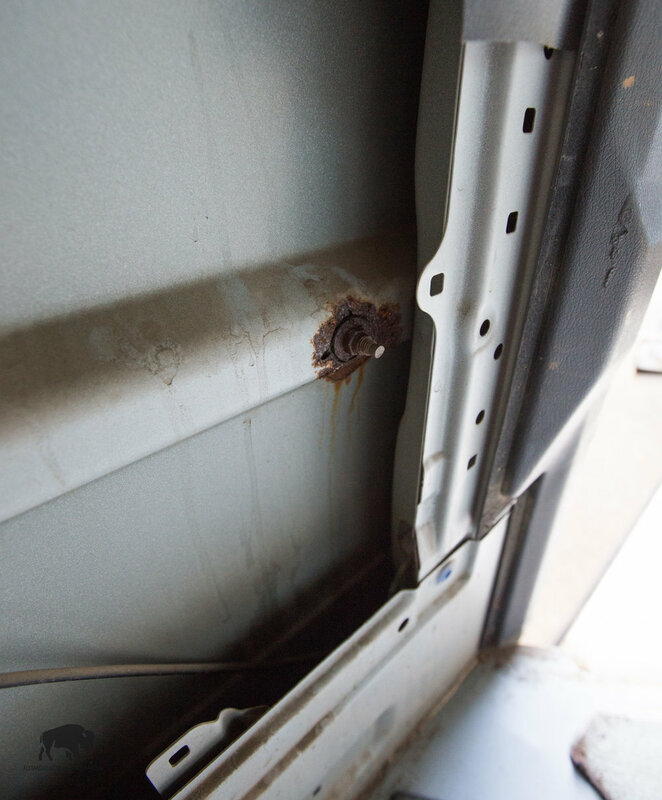 This bolt secures the rail which the sliding door slides on, it's apparent that water has been able to get in and sit for a long time which enabled the rust to eat right through. Grind out rust, rust primer and bed liner. My solution for this problem, being away from the welder, was to make up two aluminum bandaids, fill them silicone and sandwich them together preventing further water from accessing the metal. I'm not sure how long this solution will last, I may be forced to weld in a new steel plate some day. Next on the list was putting in a new sub floor. 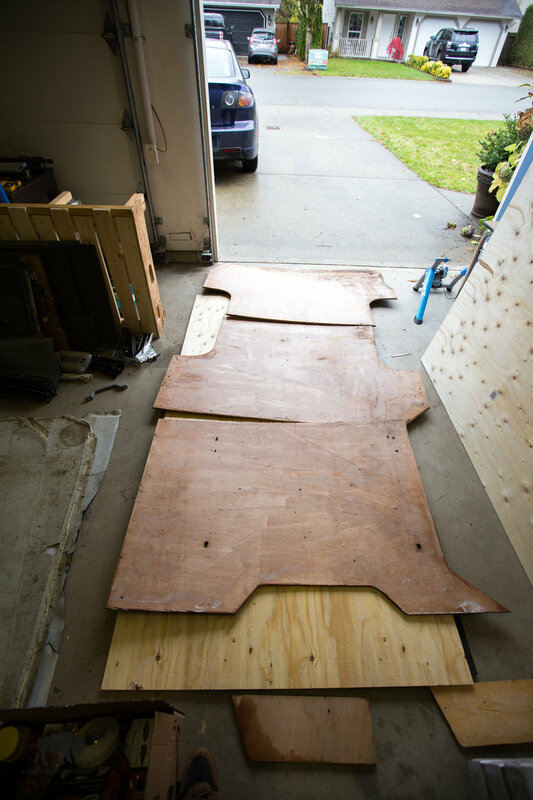 Luckily the van provided a subfloor template which I simply traced, this cut down on a lot of extra measuring and expedited the process of putting in the floor. When it rains it pours...this is how I managed to work during a downpour. My solution for insulating the floor was to drill hols in the subfloor and fill the cavities between the ribs with expanding foam. I'm not particularly concerned with insulation as most of my travel is done in warmer weather. Alison and I have also had plenty of experience with sleeping in the cold so we're not bothered by it too much. 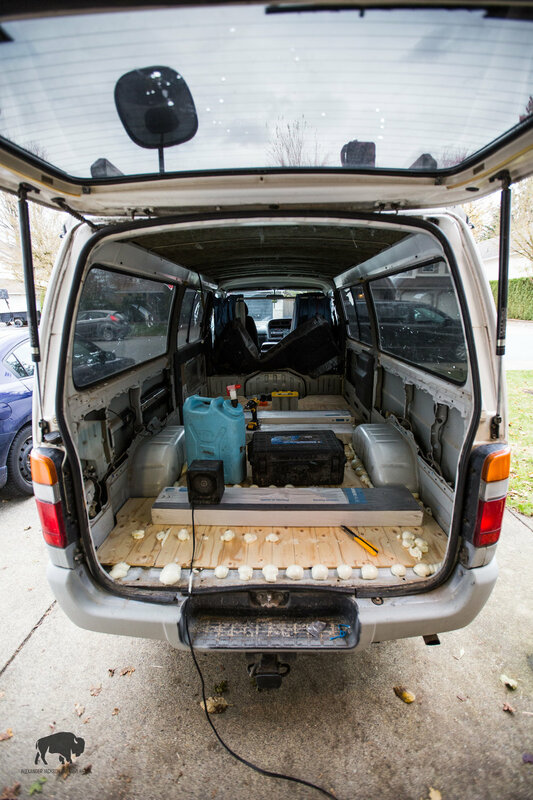 All the heavy things I could find were placed in the van to keep the floor from rising. I found this insulation option called Durafoam which is 1.5" thick styrofoam coated with a reflective layer. I figured it could double as c-200 and reflectix and it was considerably cheaper, so a definite win. Now that the walls and floor have been done, it's time for accessory placement and planning for cabinetry..
Before I could move on with the ceiling I had to put in place the roof vent that I had purchased earlier which meant cutting a big'ol hole in the roof...this was a full day project for me, but I'm pleased with the result. Fan-tastic fan in place and cedar lath ceiling installation in progress. I'll let you know that the smell in the van is amazing, gotta love cedar. 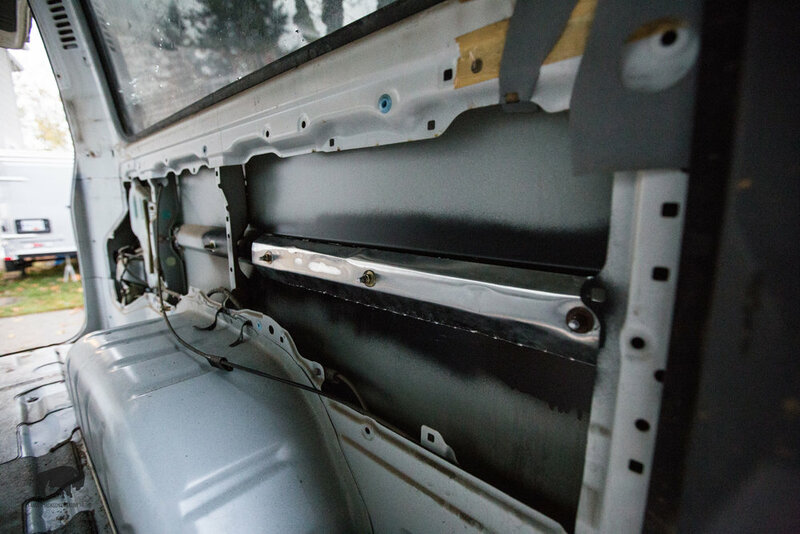 Due to one of the engine access panels protruding into the living area I needed to find a way to keep it accessible in case of the need for engine/ transmission work. My solution was to build up the area a little (allowing me to insulate it the area under the fridge more) then I will make a fully removable kitchen. The kitchen is now underway. 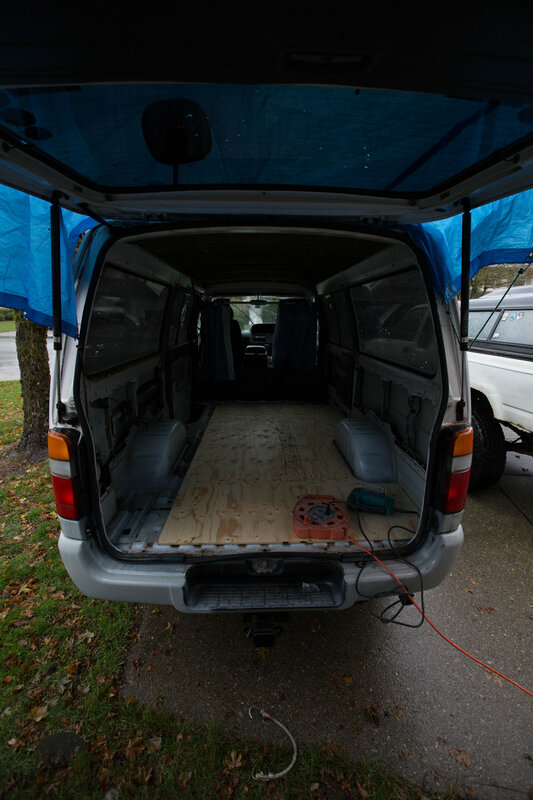 Next step will be finishing the kitchen and moving on to the rest of the cabinets throughout the van, then a steel frame for the bed will be made and installed then flooring and drawers.